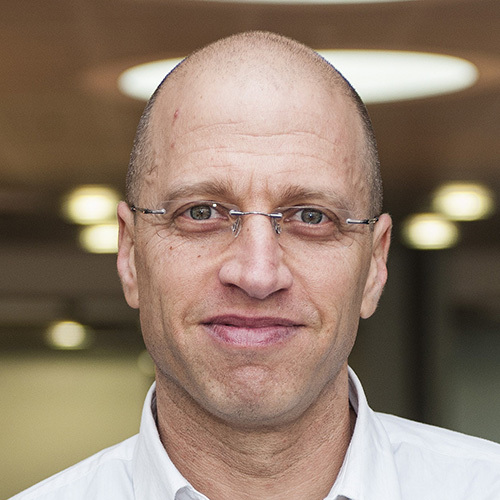 Ilan Noy, thought to be the world’s first professorial Chair in the Economics of Disasters, examines lessons from events such as the Christchurch earthquakes. Six years on from the 2011 Canterbury earthquakes, reconstruction is still many years away from completion. The Reserve Bank has estimated the rebuild will cost $40 billion and some insurance claims have yet to be settled. Christchurch is unlikely to be the last New Zealand city damaged by earthquakes, yet what has it taught us? How can we learn from the successes and failures of our response to the quakes and make New Zealand more resilient in the future? These are among the questions being considered by Professor Ilan Noy, who holds what is thought to be the world’s first professorial Chair in the Economics of Disasters. Professor Noy believes it’s critical to develop evidence-based solutions to deal with not just the aftermath of the Canterbury earthquakes but the next disaster to hit New Zealand, whether that’s another quake, a virus or flooding caused by climate change. Originally from Israel, Professor Noy was appointed to the Chair in 2013 when it was established in Victoria Business School’s School of Economics and Finance as a partnership between Victoria, the Earthquake Commission and the Ministry for Primary Industries. As well as the economics of disasters, Professor Noy’s research and teaching interests focus on international finance and development economics. His work contributes to Victoria’s ‘Enhancing the resilience and sustainability of our natural heritage and capital’ and ‘Advancing better government’ areas of academic distinctiveness. Professor Noy’s interest in disasters was sparked by the tsunami triggered by an earthquake off the coast of Sumatra, Indonesia, in 2004. Searching online for research into the economic impact of disasters, he could find only two papers. My research matters because … It quite literally deals with death, and life, the universe, and everything. Disasters affect all of us, in ways great and small. So improving our ability to prevent, mitigate and recover from their impact seems to me a worthwhile goal. One of the inspirations for my research has been … I originally embarked on this research journey after the catastrophically tragic Boxing Day tsunami in South East Asia in 2004. The best thing about my job is … I get to work in multiple settings with a very diverse set of people with different backgrounds and interests. My career highlight so far has been … I frankly don’t think of highlights. Every long journey starts with a single step (as Mao Tse-tung famously observed). It is also made up of millions of additional steps. I see every small step I take as a (very small) highlight. My advice to aspiring researchers is … Take it one step at a time. While Professor Noy initially had the field of the economics of disasters largely to himself, interest in the area grew rapidly. He says this was partly because the years 2004–2011 were exceptional for their number of catastrophic disasters with high mortality, including Cyclone Katrina in the United States, Cyclone Nargis in Myanmar and earthquakes in Haiti, the Tohoku region of Japan and the province of Sichuan in China. There was also increasing realisation of the impact cyclones, droughts, flooding and other disasters caused by climate change might have, especially in developing countries. However, two separate research communities grew around the economics of disasters and the economics of climate change. In 2016, Professor Noy launched a journal, the Economics of Disasters and Climate Change, to bring the two communities closer together. “One of the aims of the journal is to broaden the scope of the discussion around climate change from prevention and mitigation to adaptation as well,” says Professor Noy. “I think some of the earlier climate change literature and the activists made the mistake of exaggerating the potential impacts of climate change and that generated a backlash of denial. They also emphasised prevention and mitigation rather than adaptation because they perceived adaptation as an admission of defeat—one which would lead to the production of even more greenhouse gases. “But we know that climate change is happening and will continue to happen. Sea levels, for example, will rise even if we stop emitting greenhouse gases tomorrow. In New Zealand, the prediction is for more rainfall on the west coast and less on the east. We may get more flooding and droughts, which is particularly dangerous to an economy based on agriculture. The Canterbury quakes prompted Professor Noy to start researching disaster insurance. “I’d never even thought of insurance before I became a parent and bought life insurance, but insurance is critically related to issues like earthquakes and rising sea levels,” he says. As climate change is likely to have a wide-ranging impact, Professor Noy sees local and national engagement as a key part of his role. He has strong links with many government departments, assists Wellington’s city and regional councils with resilience planning and is involved in the Government’s National Science Challenges—multidisciplinary programmes designed to tackle New Zealand’s biggest science issues. He also travels widely internationally to collaborate with other researchers. “I’ve found Victoria very supportive of international engagement,” he says. For Professor Noy, one of the attractions of his research field is that it involves working with people from many different disciplines, including geographers, engineers, planners, political scientists and sociologists. He also enjoys its intellectual challenges and the potential it has to make a difference. “There are a lot of issues to be addressed, and we don’t yet know how to address them. I’m not a politician or a policy analyst but I can help provide the knowledge to help inform decision-making,” he says.